Bill Paxton died unexpectedly on February 25, 2017, at age 61, and my first thought was that he was so young. My second thought was that I had to watch Twister that night in tribute, only to discover--to my further dismay--that somehow Twister was not yet part of my collection. Apollo 13 seemed like a fitting substitute (watching Tombstone with Paxton's death scene seems a herculean task now), but my mind kept drifting back to that first thought. I can remember a time when 61 seemed ancient. Sixty-one was how old grandfathers were. Sixty-one was old. Almost inconceivably so. Now in my mid-30s, 61 seems like it's just around a few more corners. Jesus, most of us won't have even retired by that point. 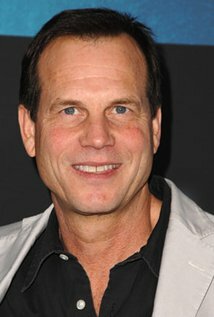 To lose Bill Paxton at 61 is still something I'm trying to wrap my head around. Mr. Paxton was more of a Hollywood mainstay that I realized. For some reason, I always thought of Paxton as a B-lister who was lucky enough to play with the big boys, but then I started going back over his filmography, and he was in a surprising number of A-list movies, and movies that I loved. Aside from his turns Twister, Apollo 13, and Tombstone, the role that immediately jumped out in my mind was Private Hudson in Aliens. His boasting of his team of "ultimate badasses" and whining about how the team was "dogmeat" when the titular aliens attacked were endless sources of amusement to my friends and me in our youth. But then I started to look a little closer. There he was in True Lies, Titanic, Club Dread, Nightcrawler, Frailty, and Edge of Tomorrow. Not to mention his small--but crucial--role as one of the punks at the beginning of Terminator. Then it hit me that the reason Paxton hadn't struck me as a Hollywood leading man was because for the most part, he wasn't. He was a supporting actor, in the best sense of the word. One of the best. He didn't need to hog the spotlight, but somehow it always found him. There wasn't a single movie that Bill Paxton was in where he didn't stand out, or not stand out as it were. His roles were sometimes smaller, but he was always crucial. The only reason that a bombastic '90s popcorn flick like Twister holds a special place in my heart is largely because of Bill Paxton. It always stood out in my mind, because it was one of the few times when Paxton was front and centre. It was his film. No matter what else came before or since, Twister was the one film where Bill Paxton was undeniably the leading man, where his passion, his energy, and his talent were in full view, unobstructed by anyone else. As a true testament to his character, he seemed willing to do what was needed, unburdened by the typical Hollywood ego that has plagued so many that came before and will continue to plague many who come after. Bill Paxton, though, will still be there standing tall.